Calling Grand Prairie residents: enjoy your summer and let us service your engine. Grand Prairie is a favorite stop with tourists. And why not? From sports to fashion to concerts, this popular Texas city seems to have it all. With just weeks left in the summer, families are rushing to take advantage of these last few days before the new school year starts. A stay-cation is a great option for Grand Prairie residents – what with all of the exciting attractions. The heat, also, seems to be sticking around. These high temperatures could cause problems with your engine. That poses a question or two for you. 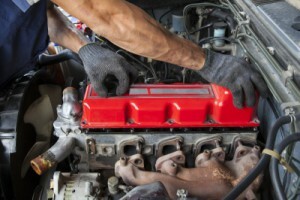 Why would you want to wait for problems to develop with your engine? Wouldn’t it be better to bring your vehicle in and have us service it for you? To service your engine, you’ll be saving yourself a lot of money in the future. Regular maintenance is our standard recommendation. We’ve worked hard to earn the respect and trust of all our customers. We do that by providing exceptional service and top quality customer care. We don’t want you to miss even one minute of your remaining summer vacation. There are just too many fun things to see and do in Grand Prairie. Want some ideas for planning memory making moments? If you’re a sports fan, the Air Hogs bring baseball up close. Rather stay indoors where it’s nice and cool? An exciting concert at the Verizon Theater just might be your ticket. For the consummate bargain hunter, Grand Prairie offers the allure of the ultimate shopping experiences at Trader’s Village and the Premium Outlets. So, what do you say? Ready for us to service your engine? Give us a call and let’s schedule your appointment today.